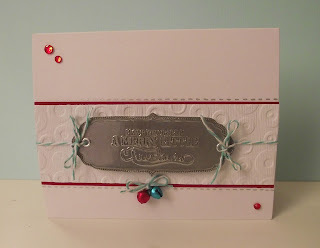 This if for the CAS "embossing challenge" for this week. I embossed the white card stock with a spellbinder folder and I used a technique that Kristina Werner does from time to time that I love. I used American Crafts Zing silver embossing powder three times on white card stock, I also used VersaMark ink on my stamp. I stamped the image when the embossing powder was still wet and this gives the "reverse" embossing image. The sentiment is from American Crafts. Thanks for taking the time and feel free to leave a comment! Oh you are such a clever, clever girl! 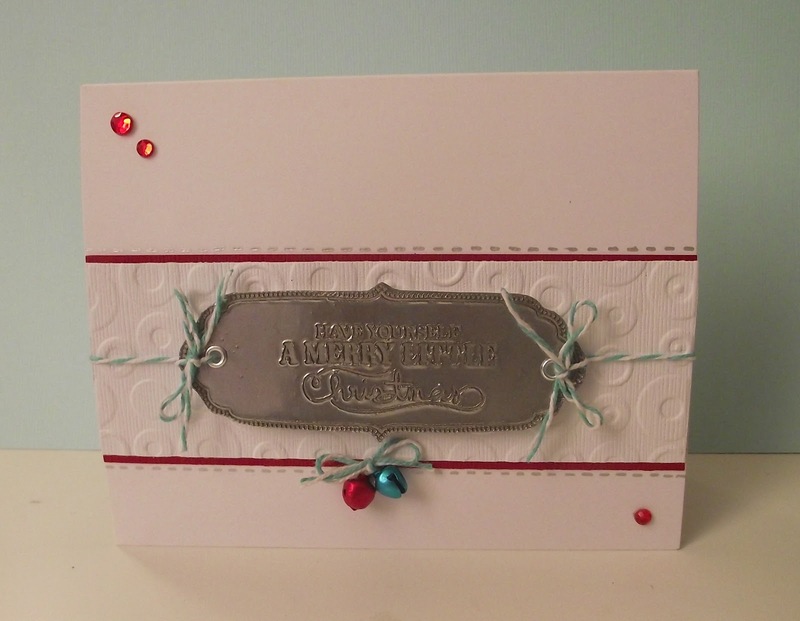 Love the embossed metal technique as well as those darling little jingle bells! Thanks so much for playing with us at CAS-ual Fridays - we're so glad you did! !